The db San Antonio Hotel and spa is an ideal all-inclusive package for those of you looking to truly relax and enjoy your holiday. The moment you step off the plane you won’t have to worry about a thing. From pool side drinks to access to our exclusive spa and wellness centre, we have it covered. So sit back, relax and enjoy a care-free holiday courtesy of the db San Antonio Hotel and Spa. The db San Antonio Hotel and Spa provides a diverse range of facilities and was the first hotel in Malta to be awarded a 4 Star Superior rating due to its spacious rooms with balconies as well as its great choice of amenities, something other 4 Star hotels don’t have. 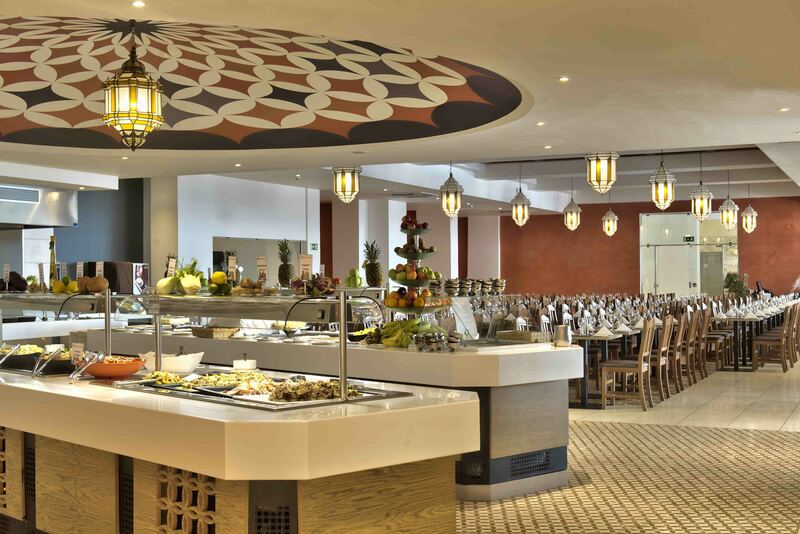 Our appetising breakfast and lunch buffets provide a variety of delicious local and international options. Snacks are also provided throughout the day for our all-inclusive guests, to make sure you are never left feeling peckish during your stay. All-inclusive guests at the db San Antonio Hotel and Spa have the opportunity to dine in all five of the themed restaurants. These include an extensive buffet at the Guiéz restaurant, Indian and Moroccan cuisine at the Tagine restaurant and Asian cookery in our Yushan restaurant. Of course, all dinner options come with house beverages included for all-inclusive guests. A great range of drinks are included in the all-inclusive package. These include all house beers, wines, spirits and cocktails and are served from our trendy bars, situated throughout the hotel from 10am to 10.30pm in the winter and 11.30pm in the summer. Relax and enjoy the sunset with a glass of wine from the famous roof top pool and bar deck or quench your thirst with a cold beer while sunbathing by one of the 3 outdoor pools. If you don’t feel like anything alcoholic, guests have full access to soft drinks, water and fruit juices 24/7 and the wonderful coffee shop serves tea and coffee throughout the day. 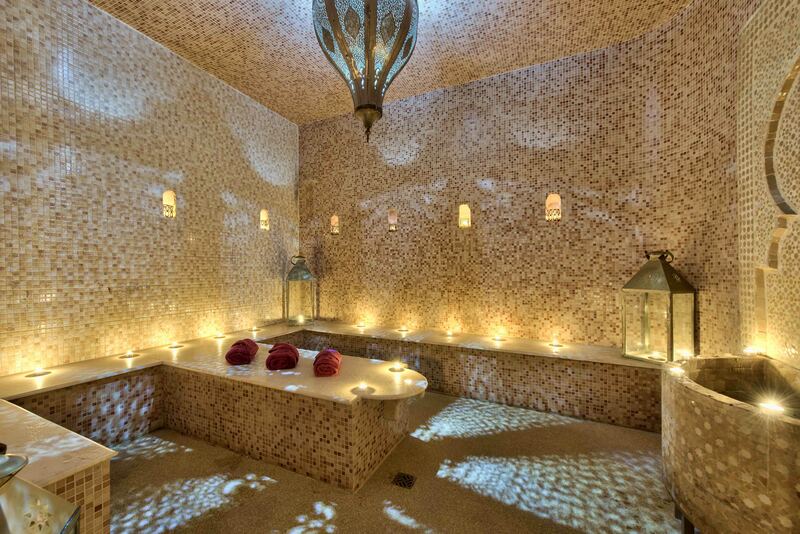 To completely forget life’s stresses, lean back and unwind in the spa and wellness centre. All-inclusive guests gain full access to the spa as well as the indoor pool, jacuzzi, sauna and steam room. They even have their own private Jacuzzi, Sultan’s Bath. Also available in the wellness centre is a fully equipped gym for those of you who fancy a holiday work out. Perfect for the whole family, our all-inclusive package comes with free access to the Kids and Teens Club, open every day, all year round. The animation team also provide daily entertainment throughout the days and evenings to keep the whole family amused during your holiday. 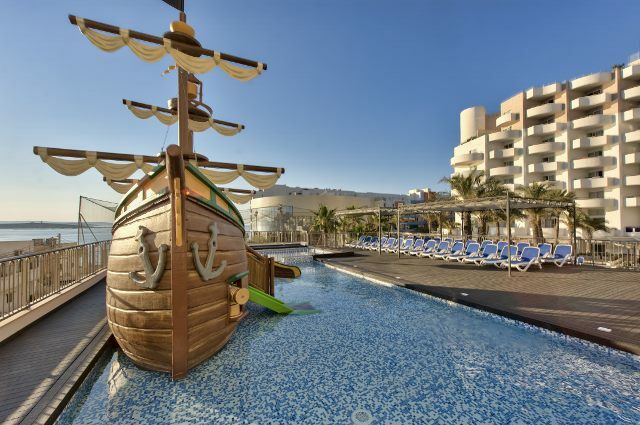 They also have 2 brilliantly designed shallow kids pools, complete with a pirate ship and built in slides, to make sure your little ones enjoy their holiday as much as the adults. All the rooms and common areas come with free Wi-Fi. 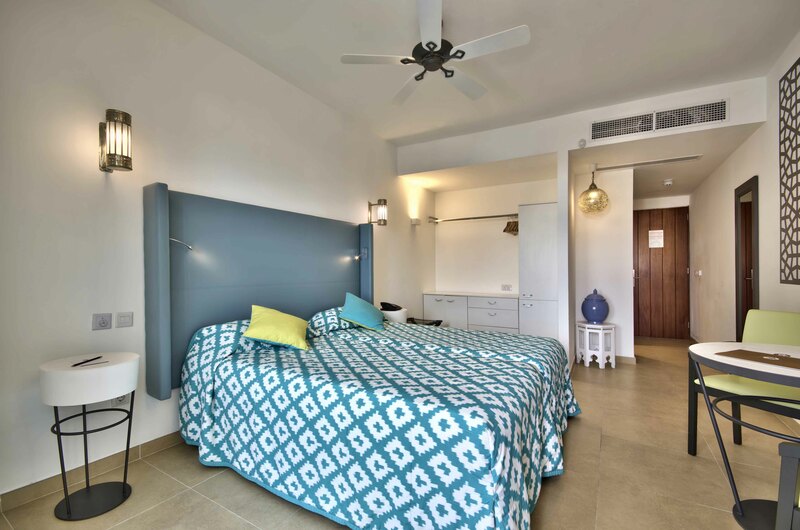 They also have 13 disabled access rooms and all the bars and restaurants are easily accessible for people with disabilities, allowing the whole family to have an enjoyable, care free holiday. If you feel like letting your hair down, the db San Antonio and Spa is situated a stone’s throw from the main street in the town. Here you can find a range of appetising eateries as well as many trendy bars and nightclubs so you can dance the night away in style. Fancy your chances in one of Malta’s casinos? They provide all-inclusive guests with free entry to the Oracle Casino, just a 5 minute walk from the hotel, and a free €10 match and play voucher complete with a complimentary drink. Good luck! With the vast range of facilities available to all-inclusive guests you will never need to leave the hotel. If you would like more information about the amenities available to all-inclusive guests please click on the ‘have a glance tab’ at the bottom of the hotel main page and make sure you check the hotel pictures in the ‘photos’ section so you can see for yourself everything they have to offer.